Vintage Adventurer | Peking to Paris – We’re off! Peking to Paris – We’re off! 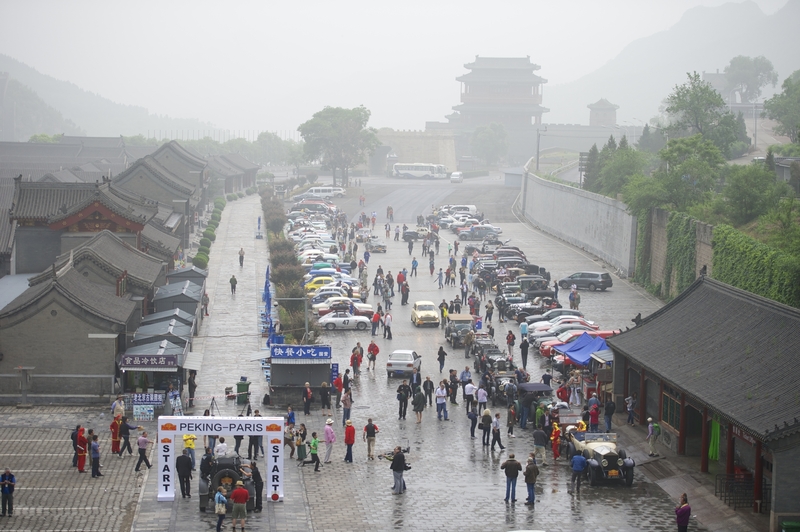 Preparation standards were put to the test on the first day of the fifth Peking to Paris Rally as 96 cars set off from the Great Wall of China today (28th May) on the start of their 7,500-mile journey. 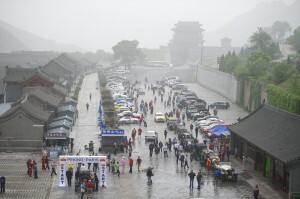 Sent on their way by Chinese dragon dancers, five international TV crews, and a crowd of over 2,000 well-wishers, the teams found themselves and their cars tested from the outset. The first challenge of the day came in the shape of a 50-metre stretch of raging floodwater in a run down village that claimed two victims. Punctures, a wrong turning and a cracked windscreen were also some of the opening day woes suffered by the drivers – but not Car 18!